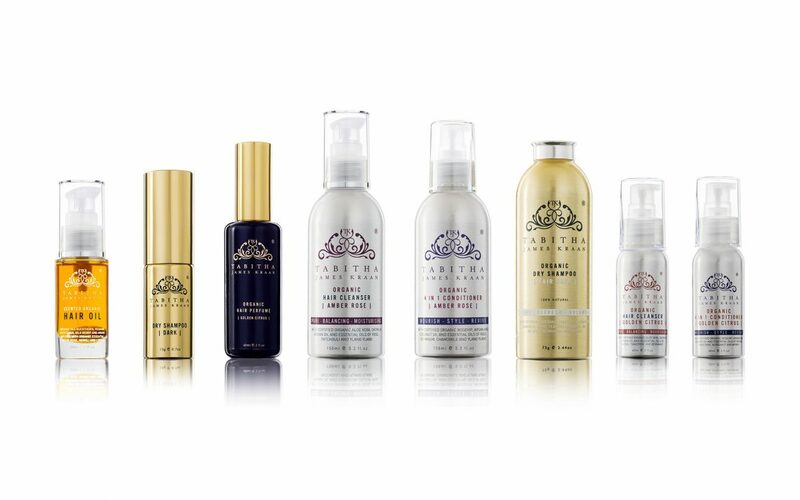 So we are back to my never ending hair story (or nightmare sometimes), I have had recently the pleasure to try out some amazing products by Tabitha James Kraan. 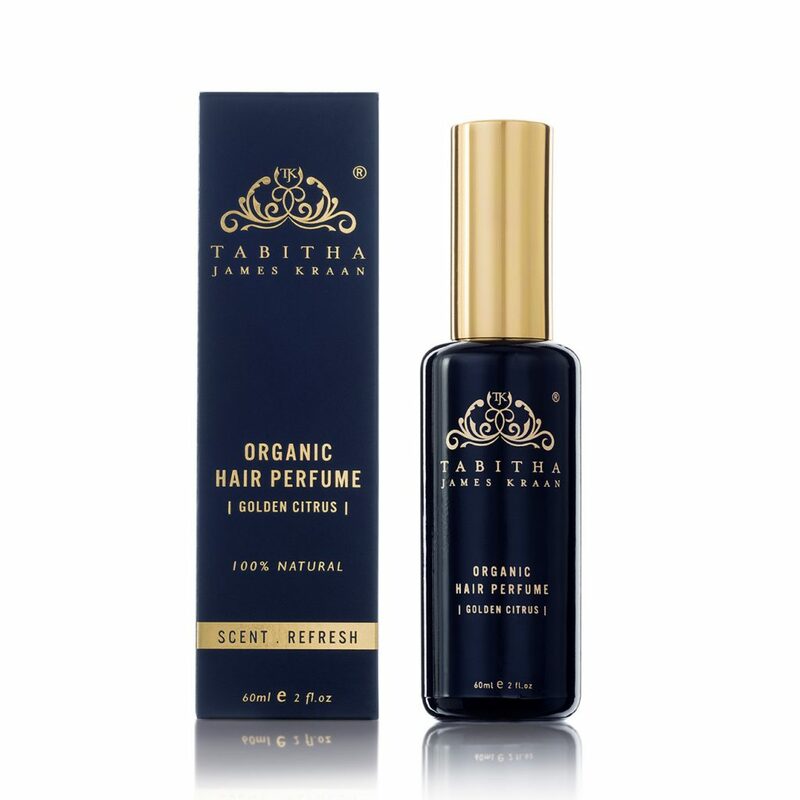 Organic is the word and for my hair this seems to be the best thing. In this world of products it is always hard to know where to start?!? I received a box of goodies and in this box of treats were a bottle of Golden Citrus Hair Cleanser, Golden Citrus 4 in 1 Conditioner, Dry Shampoo for fair hair in both regular bottle and a gorgeous compact form and last but not least the Hair Perfume. I received my products to match my blonde hair but there are also options for darker hair types. 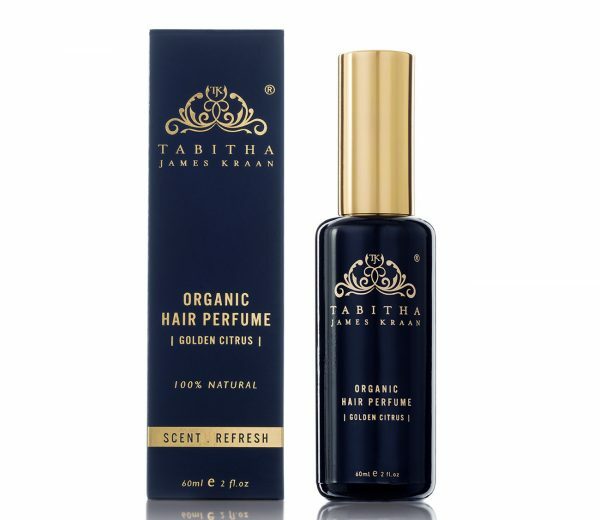 The scents are fresh and slightly spicy which I love; all products are organic and were created by Tabitha James-Kraan. She realised whilst pregnant that 60% of products she was subjecting herself to were also past down to her baby, so she created these organic goodies. Tabitha struggled to find what she needed on the shelves out there so she decided the best thing was to make it herself. So in 2015 her products were officially launched with some amazing help of her loyal clients from her salon. 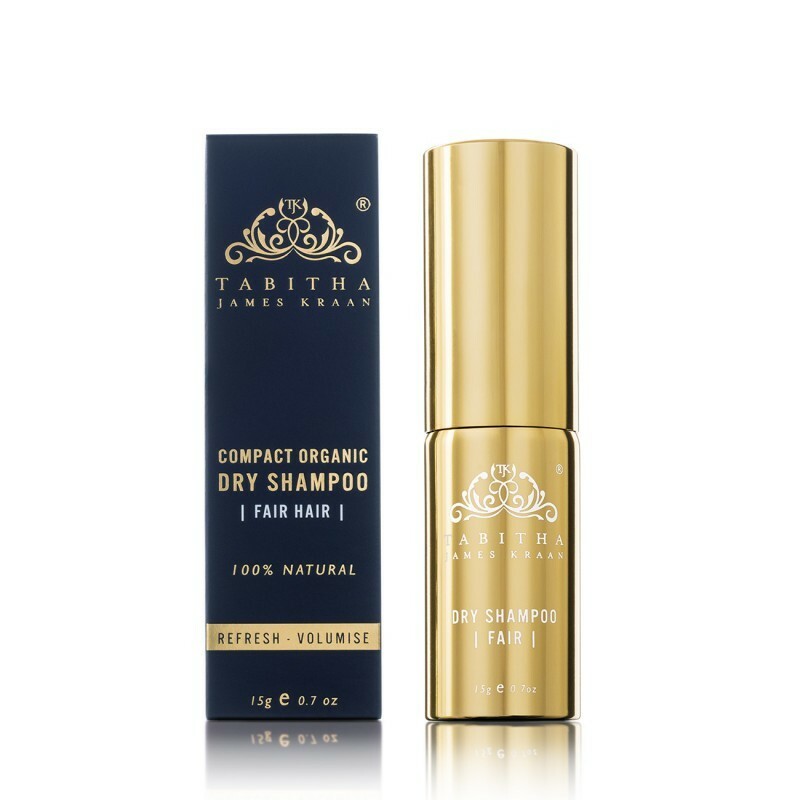 In the cleanser you will find an organic oil blend to strengthen and build up long-term strength of every hair strand and soap bark to gently cleanse the hair without stripping off the natural oils. Also added are oat milk for extra moisture and also Aloe Vera, which is anti-inflammatory and calming. When I tried this shampoo I had to give it a few goes before mastering the amount of product I needed, I was so used to the “off the shelves” products and their massive lather that I was not sure I was covering my whole hair. I was by the way, but it is such a clean product it will not give you that unnecessary lather. Now I know. I then reached the moment for the conditioner, the 4-1 one Golden Citrus Conditioner to be precise. What does this mean I wondered? Well it has 4 wonderful uses if you will. 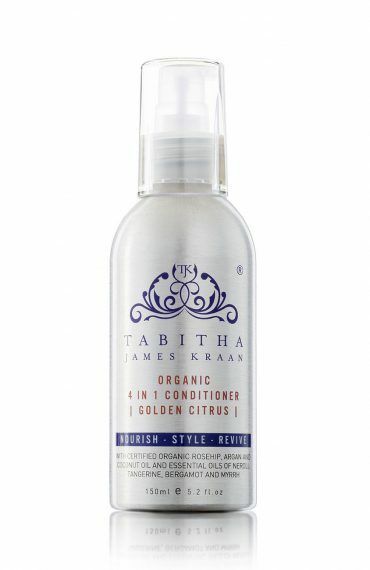 It layers a traditional conditioner with a nourishing scalp cream, leave-in conditioner and high performance styling tool. Literally all you need in one little bottle. There is so much love for your hair in there, organic Rosehip oil and several other essential oils. I have fine blonde hair and dry shampoo is in my daily routine; whatever I can do to add volume and occasionally hide some not so pretty roots growing out from my highlights. 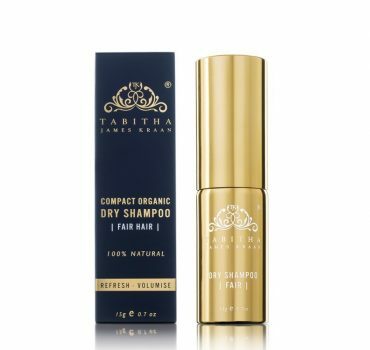 The Dry Shampoo from Tabitha has a lightweight feel to it and helps balance oils of the scalp while also soothe. Again the scent is divine, very fresh with a hint of exotic Myrrh. I also received a compact version of the same product that fits beautifully in my handbag, so I can look and smell great on the go! So on to my favourite product of the lot; the Hair perfume! It is completely new to me to have a hair perfume but makes so much sense now. Not only does it have caring properties it also enhances colour and texture with White Tea and Nettle and keeps hair hydrated and restored, and the scent is an otherworldly beautiful aroma. It can be sprayed straight on to hair to aid flyaway or to just give shine and a nice scent, it can also be sprayed at the nape of your neck to soothe and cool you down. This is always with me because it just makes you feel amazing and is a nice “pick me up” during my busy days in London. All in all the range is utter perfection and are caring for the environment as well as myself. Win win. 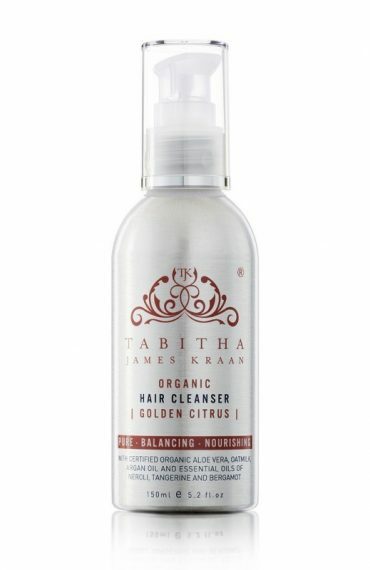 Tabitha James Kraan Organic Haircare is avalaible online and at selected stockists.